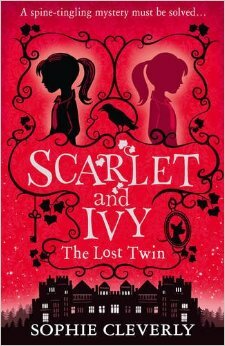 The Lost Twin: Scarlet & Ivy #1 | YAYOMG! 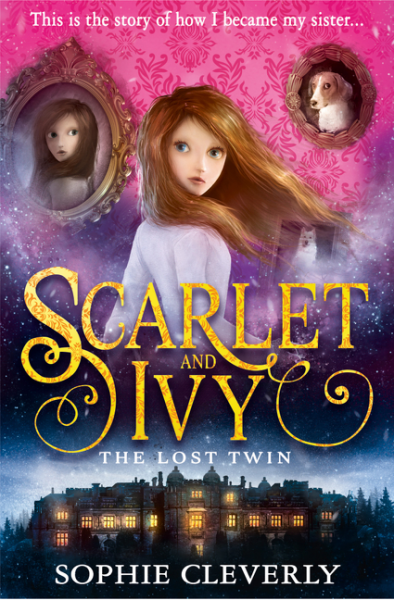 “The Lost Twin” by Sophie Cleverly is the first book in the “Scarlet & Ivy” series. We’ve only read “The Lost Twin” so far, but the other two books sound just as enchanting. Book 2 is called “The Whispers in the Walls” and Book 3 is called “The Dance in the Dark”, both of which will be released over the next few months from Sourcebooks Jabberwocky. “The Lost Twin” is a twisty, eerie read that’ll have you hooked from the very first page. 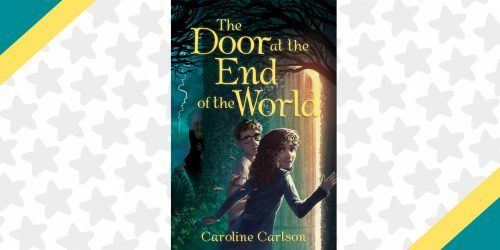 The haunting story is a unique spin on a boarding school mystery, complete with an excellent BFF sidekick and a plot that really keeps you guessing. 13 year old Ivy Gray lives with her peculiar Aunt Phoebe while her twin sister Scarlet is off at a fancy boarding school. Both girls applied for the school, but Ivy didn’t score well enough on the entrance exam, so only Scarlet was able to attend. 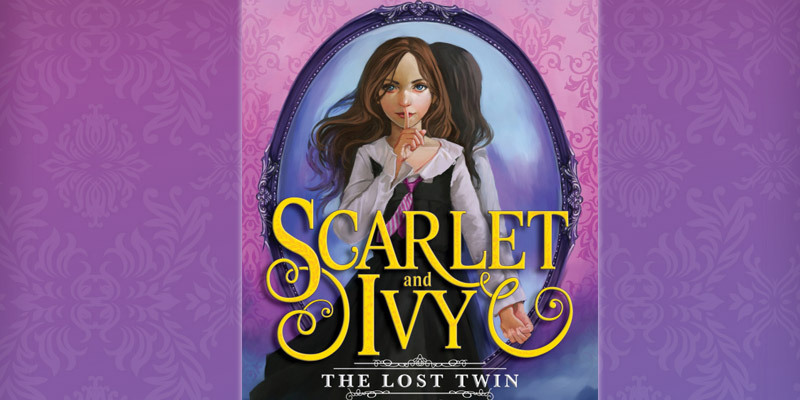 Despite being twins, Ivy and Scarlet couldn’t be more different. Scarlet has always been the brave, outspoken one who dared to be herself and always knew how to get her way. Ivy, on the other hand, was always more shy and generally keeps to herself. When Ivy finds out that Scarlet passed away while at school, she’s pretty crushed and begins to realize all the ways she really misses and idolizes her sister. 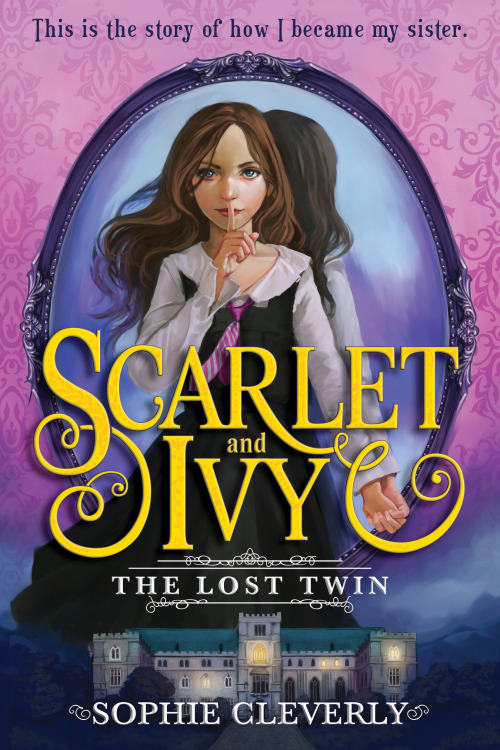 Shortly after Scarlet’s mysterious death, the school writes to Ivy, stating that she can now attend Rookwood herself, taking Scarlet’s place. What Ivy didn’t know was that when they said “take her sisters place”, they meant BECOME her sister. The horrible Headmistress Fox (who is basically the worst teacher since Dolores Umbridge) is very sneaky and peculiar, and forces Ivy to pretend she’s Scarlet in every way, from using her name, to dressing like her, and even acting like her. 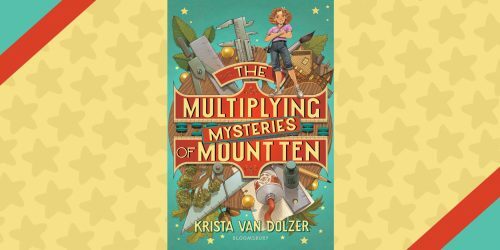 Ivy isn’t exactly thrilled about the idea, but when she finds Scarlet’s hidden diary, she’s determined to find out exactly what happened to her sister. Each page of the diary has been torn out and hidden by Scarlet, and Ivy must piece together the vague clues left within the pages, search the school, and break a whole lot of rules in order to find out the truth. Ivy learns quickly that there’s more to the creepy Rookwood school than meets the eye, especially the rotten Miss Fox. Rookwood is described so well that while reading scenes where Ivy is sneaking around in places they shouldn’t be are gripping and keep you on the edge of your seat, hoping you’ll never having to roam the halls of Rookwood yourself. Ivy’s roommate is the new girl in school, and the two become fast friends. Ariadne makes being at this miserable school a bit better, but unfortunately, Scarlet made some enemies while attending the school who are now pulling pranks and calling Ivy names, and generally making her life miserable. No one knows Ivy’s big secret, and if her secret gets out, Headmistress Fox has threatened some pretty awful punishments. So Ivy must be as careful as possible to properly imitate her sister, even if it means dealing with her enemies. Between the resident mean girls and the awful Headmistress, and the Rookwood staff always watching and lurking around every corner, will Ivy be able to solve the mystery without being caught? One of the things we really loved about story was that in imitating her sister and learning more about her through her diary entires, Ivy really learns about herself. She doesn’t want to be exactly like her sister, as she’s pretty happy being herself, but she realizes that some of Scarlet’s best qualities are ones she’d love to see more of in herself, like being able to stand up for yourself and opening up to the people around you. Ivy breaks out of her shell and gets to know herself in a a really great way, despite the awful circumstances. You’ll have to read it for yourself to find out what happens, but what we can say is it’s a great read for a rainy day when you’re looking for something mysterious and a little bit creepy. Nothing about “The Lost Twin” can be considered traditionally “scary”, but it’s definitely got a haunting, walk on your tip-toes kind of vibe. 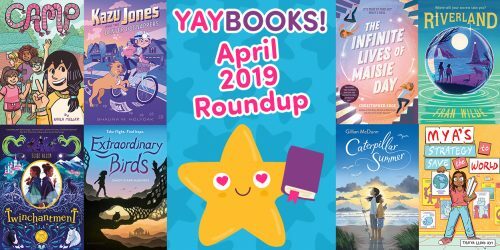 We’re dying to get our hands on the next 2 books in the series, and we think you will be too!